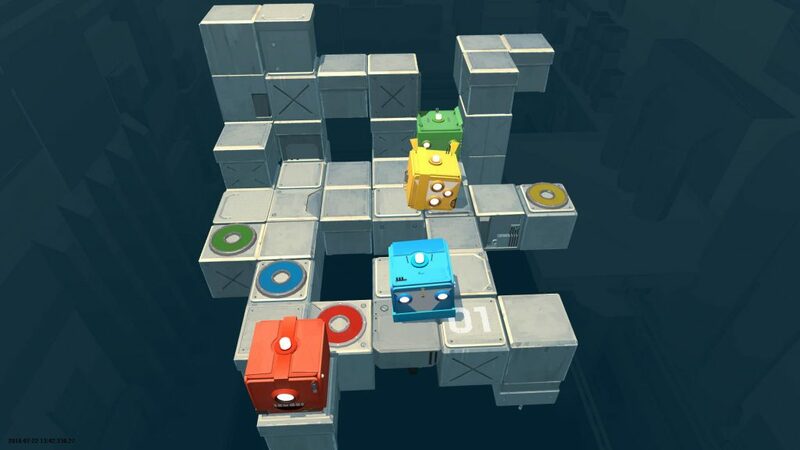 I honestly expected a much darker game from the title of Death Squared, but the newest arrival from Sydney indie developer, SMG Studios, brings puzzle gameplay backed with lots of laughter. It’s a simple puzzle game about getting squares to their end-states. It’s also wickedly difficult. Add in some truly inspired level design and a distinctly Australian sense of humour, and you’ve got a party game which will test your friendships as you bark commands each other, trying to make heads or tails of each mind-bending level. 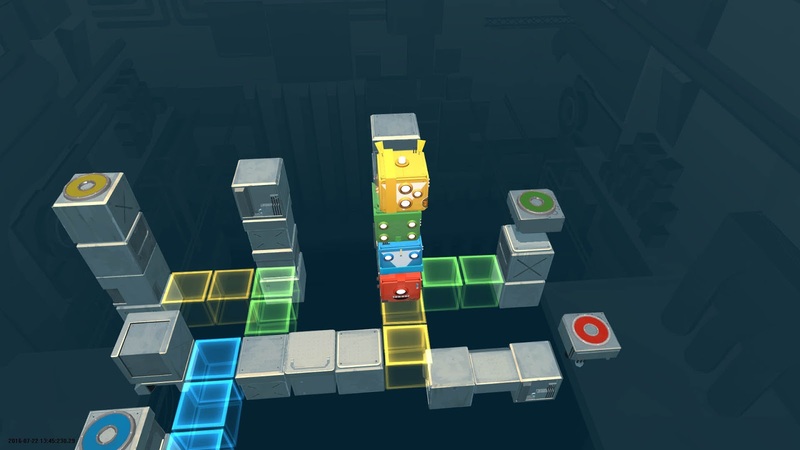 The real star of Death Squared is the construction of each level. SMG Studios takes the simple idea of getting two or four cubes from point A to point B, and turns it into a lattice of moving blocks, rotating pieces and deathtraps which requires almost surgical precision to navigate. Not a single piece in a level is left to timing or random chance – if anything moves, it’s because you moved it. This means that the spikes which killed you had to be triggered by where you moved your red cube, or the block that pushed you into the abyss appeared because you put your blue cube in the wrong place. You’ll learn quickly to move slowly, because death is far and frequent. In fact, death may be a little too frequent. My only real gripe with the level design is that it quickly becomes a game of “guess-what’s-in-the-developer’s-head”. Rather than being given the tools to solve a puzzle, most levels require players to trial-and-error their way to finding which sequence of movements will get them to the exit without copious amounts of death along the way. Once players figure out how to achieve the win-state, they’ll then need to prove themselves dextrous enough to pull it off. Some of the puzzles require very precise inputs, and a lack of checkpoints means a wayward nudge can lead to a full restart. It’s theoretically possible to finish every level in a few minutes, but the harder ones might just take you much longer. The game has plenty to do, weighing in at 80 single player levels and 40 multiplayer levels, as well as a collection of Switch-exclusive Vault levels which will really test your sanity. It’s an excellent slow-burn game, since each level is self-contained and you’ll get a lot more satisfaction by spacing them out. I did wish that levels would unlock in groups; as is, you can only play a level once you’ve beaten the level before it, meaning that if you’re stuck then you’ve got nothing to do except try and try again. This is also very much a mechanics-driven title, so story and graphics fall by the wayside. 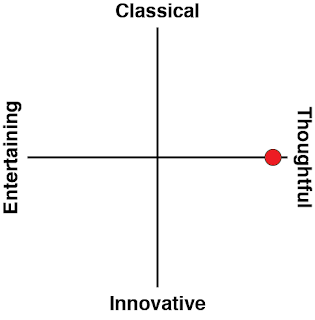 The premise revolves around a clumsy scientist working with an AI to complete some puzzles. It’s a retread of previous sci-fi puzzlers, but it finds some novelty in the very Australian voiceover. 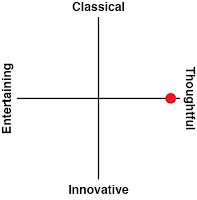 Each level is prefaced with some witty banter, which is great at keeping the play lighthearted. The graphics are simple in order to convey gameplay mechanics more effectively, but even then things can get lost: the 3D perspective doesn’t convey depth very well, and some hazards are signposted with the slightest of details. As a positive, you can make your cubes dance if you’re bored. Death Squared might sound like a strange recipe for a party game, but the magic of multiplayer works wonders: instead of wryly laughing at your own failures, you can mirthfully laugh at the failure of others! The game offers individualised death counters for each cube, so you can easily figure out who the weakest link in your team is. The addition of human communication makes the levels much harder – but it also makes the “aha” moment more satisfying. It’s a bit too esoteric to be whipped out at a party, but it’s a worthwhile experience for friends who you’re already used to gaming with. 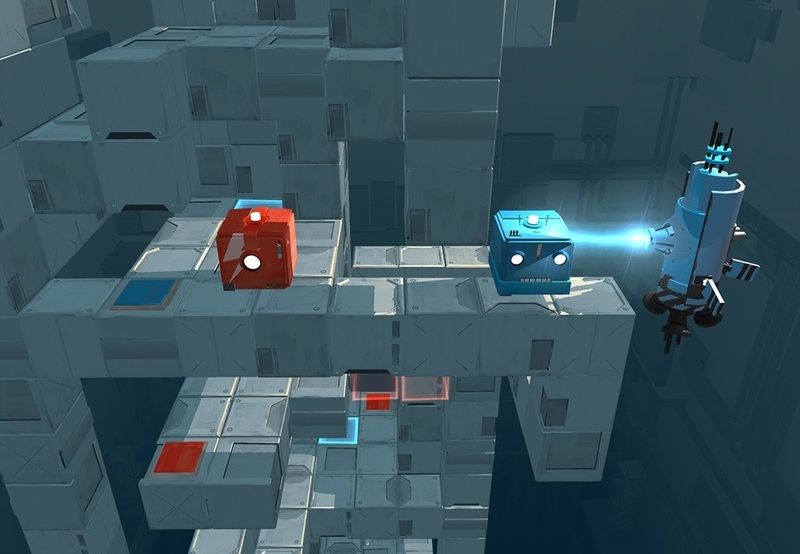 All this leaves Death Squared in a weird spot – I feel audiences will be alienated by the overwhelming focus on dying and starting over, but take out the death and what remains is a simple, lifeless game about cubes. Much of the game’s spark lies in its multiplayer, so definitely be on the lookout for this one if you’re using your Switch as a shared console. For those who like a bit of challenge in their puzzle games and can look past some basic presentation, Death Squared has enough to satisfy the most daring player.